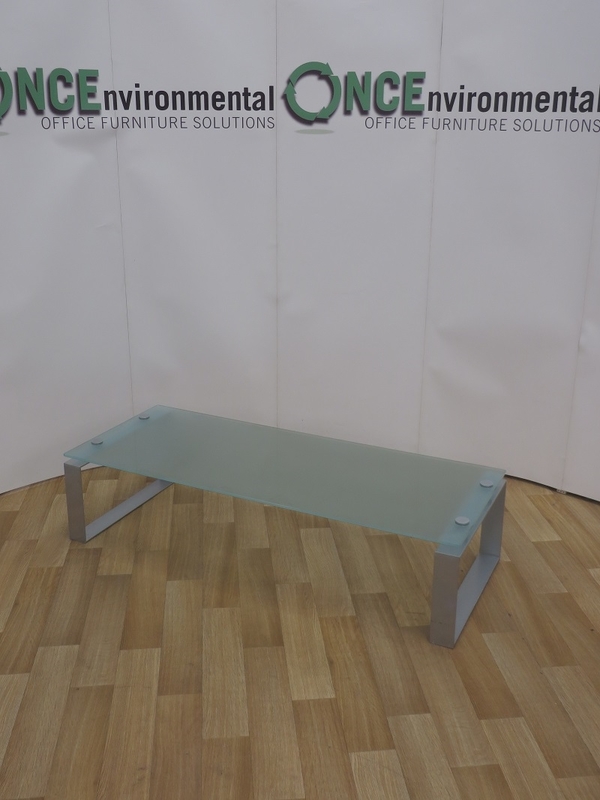 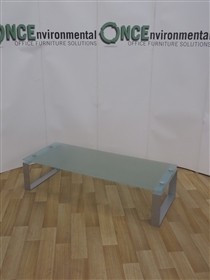 Used Tables Frosted Glass 1500W x 600D x 360H Coffee Table. 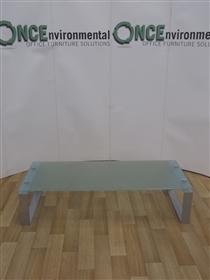 Tables - Frosted Glass 1500W x 600D x 360H Coffee Table. 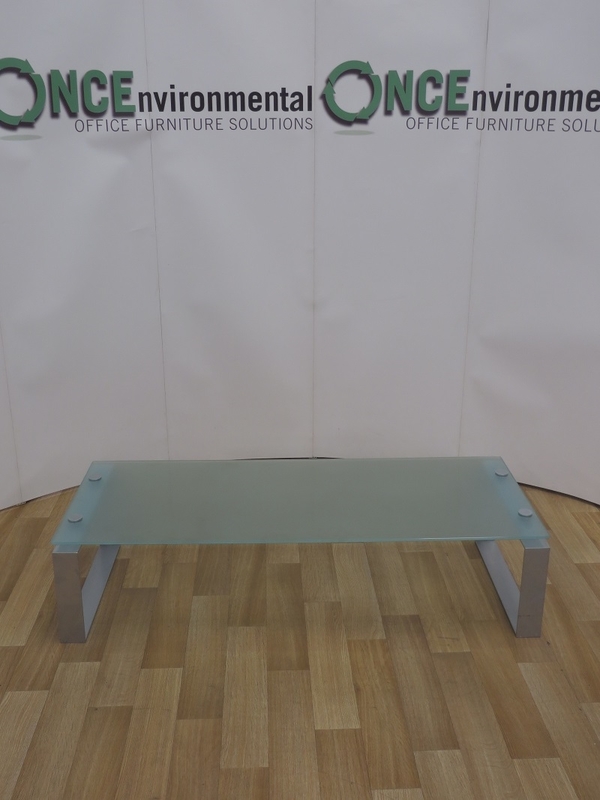 On Silver Finish Box Legs.